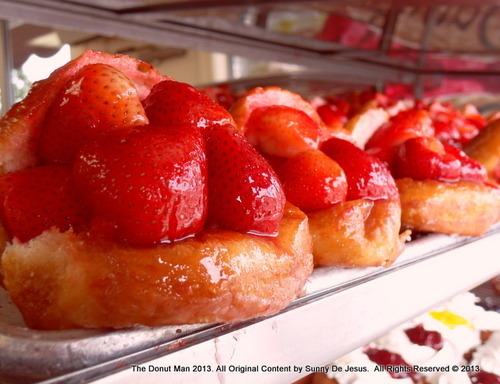 The Donut Man’s Strawberry Donut is like a big pocket size donut filled with delicious strawberry goodness. The strawberries are super big that they look like puckered lips waiting to give you a surprise smooch. 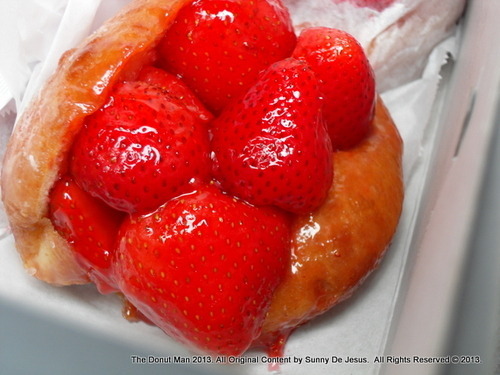 The homemade strawberry glaze is kind of like the lip gloss that gives it a little shimmer and has just the right amount of sweetness. The $3.25 for a seasonal donut was worth the long drive to get them. 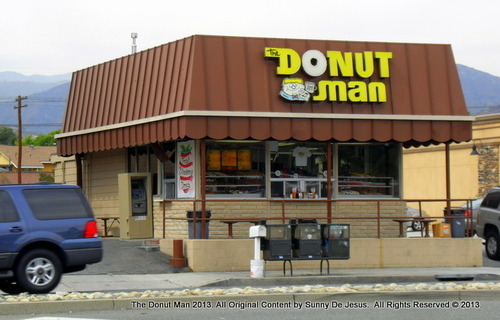 I shall return for the Peach Donut. So when’s peach season anyway?